Considering the drastic energy efficiency gains in LED lighting and the more reasonable up-front costs we’re seeing today, it's easy to see some parallels between lighting and the cable TV conundrum. It's also worth mentioning that the benefits of an LED retrofit often extend beyond quantifiable energy savings. In this post, we have outlined five areas that could be impacted by waiting to convert to LED lighting. If your reaction to your electricity bill is similar to the cable bill I referenced earlier, consider this: LED lighting is, on average, 90 percent more energy efficient than a traditional incandescent or halogen light bulb. In fact, potentially the most significant area where waiting to retrofit to LED lighting could cost you is in electricity. 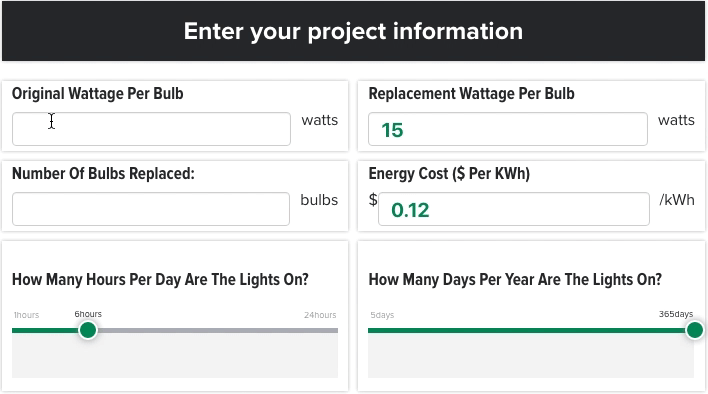 Step 1: How much energy is my current lighting using? Step 2: How much is that energy costing me? Let’s assume that I pay $0.12 per kWh of electricity, which is a reasonable national average. For comparison, switching to a 7-watt LED bulb would have lowered the cost that month to $36.46. As you can see, depending on the hours of operation and the type of existing lighting you have, the cost of waiting can be significant. Traditional lighting — especially incandescent and halogen lighting — is much more efficient at producing heat than electricity. As a result, older lighting could be causing your air conditioning systems to work harder. 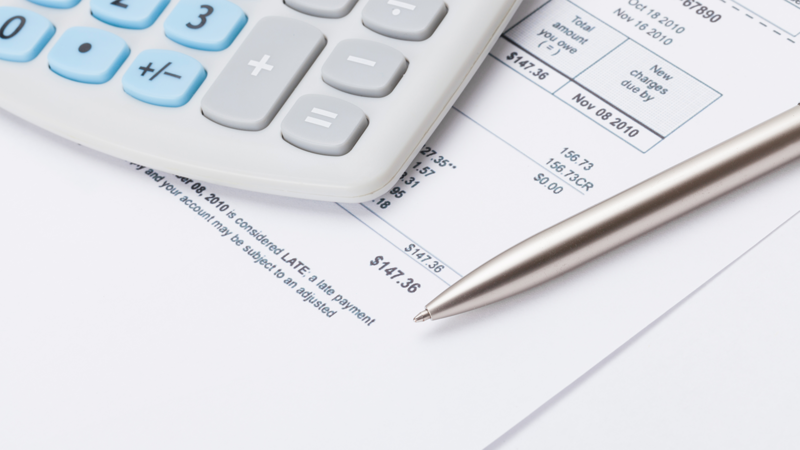 If your lighting is indoors and you’re located somewhere that uses air conditioning, you can also figure out the HVAC energy cost of your lighting system. I’m not going to go into the details here, but you can reference this guide for all the detailed calculations. More than being a headache, lighting maintenance can also be costly. In some cases, our customers have to rent costly equipment like bucket trucks or lifts just to change out burned out light bulbs. As you can imagine, the cost of the equipment rental dwarfs the actual material cost of replacement bulbs. If this sounds like a familiar problem, you may want to tally up the annual costs you spend on these maintenance headaches and factor that into your retrofit consideration. Another way to look at the maintenance costs if the fact that you have to pay someone (a contractor or employee) to go to the stock room, get a light bulb, get a ladder, and go change out the failed bulb. Those costs add up if you’re not using ultra long-life lighting. How much do you spend on labor dedicated to changing out burned out bulbs? Use our guide for help. Another benefit of long-life lighting –– today’s commercially-available LED bulbs last between 11,000 and 100,000 hours –– is the fact that you won’t have to replace burned out bulbs as often. You can look at your monthly light bulb maintenance invoices or your can use this guide to figure out your typical monthly spend. Add to the long-life span of the LED bulbs a typical three-to-five-year warranty from most major manufacturers, and you should be set on replacement materials costs for a while. There’s one final area where the cost of waiting can be significant and, admittedly, difficult to quantify. We’ve had a number of customers — from theaters to retailers to university gyms — remark about how beneficial the light quality and controllability of LED lighting benefitted them. So if you’re in an industry where light quality could have an impact on your customers’ experience and potential sales with your organization, lighting may be an investment to consider. Quality lighting will not only save you on overhead costs, but it can also lift your sales by guiding your customer through your stores or making them linger longer in your restaurant. If the pricetags that came with LED lighting products years ago scared your company off, we get it. It wasn't too long ago that our salespeople were warning of the slow payback that could come with a capital-intensive LED retrofit –– encouraging customers to hold off for a rebate program or price reduction. But today, we wouldn't be doing our job if we weren't pointing out the cost of waiting to retrofit, ticking by with every kWh that passes and lift rental.